Speed Test: Does iOS 12 Improve iPhone Performance? Apple announced that old iPhones, iPads, or iPod touch will be getting a huge performance boost with the iOS 12 performance booster. This is great news for people who use older iPhone versions. One of the reason iOS 12 is able to support old phones is because of a software adjustment that has pushed the phone up to a full throttle performance potential as needed. Apart from ramping up your phone's performance, it also helps to bring your iPhone back down very quickly in order to preserve your battery. The feature will also make apps launching and the use of keyboard a lot faster on newer phones. There's nothing like a good performance test to see just how good the iOS12 performance is and we will be testing it against iOS 11.4. To see the speed test for yourself, you can watch a YouTube video on it. iO12 launches about a few seconds quicker than iOS 11. Moving around on the home screen is also a lot smoother and more responsive. Opening up camera app, it appears that the launch speeds are pretty similar between the two operating systems. Games launch a little more faster on iOS 12. As a result of the faster CPU step-up, iOS 12 launches applications a lot faster than iOS 11. No one enjoys a slow performing iPhone. It can get really annoying as you are unable to maximize your phone's performance. Below are a few tips to get you to improve your iPhone. To clear app caches, you can uninstall and reinstall apps. Or, use iPhone cleaner without uninstalling apps. iPhone clean like iMyFone Umate Pro (Win & Mac) is a third-party app that can successfully make iPhone clean to make for a better performing iPhone. It’s easy to use but helps you save you time and energy especially when you iPhone is long used. Clear Junk for Free: In just two clicks, it removes cache, corrupted files, crash logs, etc. from iPhone. 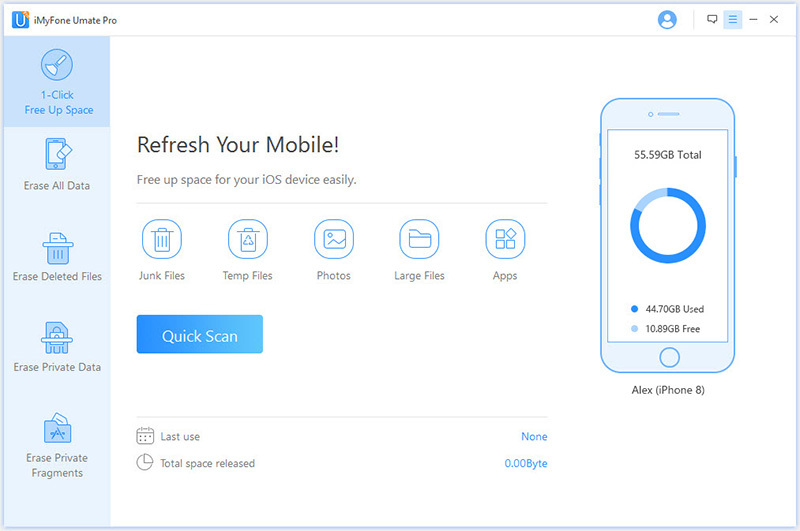 Clean Temp Files: Removing all temporarily files not only saves huge space but also speed up iPhone. Wipe Deleted Files: Previously deleted files are still lurking on your iPhone, which can be found and completely erased. Erase Private Traces: Incomplete fragments are generated when using third-party apps. You can wipe them all. Step 1. Connect your iPhone to your computer. Run iMyFone Umate Pro Cleaner and click “Quick Scan” from the interface. Or choose “Erase Deleted Files” on the left menu if you wish to make deleted files gone forever. Or choose “Erase Private Fragments” if you wish to clean third-party app. Step 2. It will run a full space-saving analysis for your iPhone. The analysis is on how much space you can save by clearing temporary files, cleaning up junks, compressing photos, deleting large files and removing apps. Step 3. Click “Clean” button beside “Junk Files” or “Temporary Files”. It will start clearing. okay, no doubt this is a bit of a drastic step but it works. So if you want to get your iPhone to full performance then hard resetting your iPhone is the way to go. It is a more effective way of solving performance problems with the way an iPhone runs. On iPhone X/8/8 Plus: Quickly press Volume Up button and release, quickly press Volume Down button and release, hold the Power button until you see the Apple logo. On iPhone 7/7 Plus: Hold the Volume Down and Power buttons until you see Apple logo on the screen. 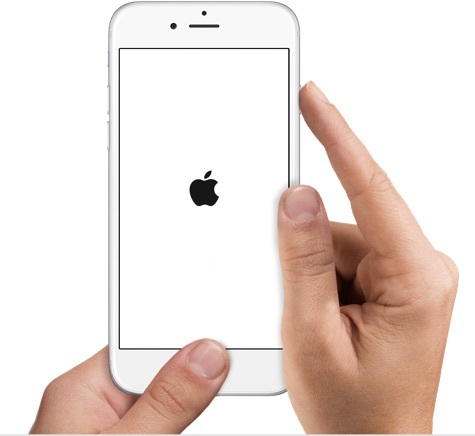 On iPhone 6s Earlier: Hold the Power and Home buttons until you see Apple logo on the screen. You would be excited to learn that it will save you huge space and boost your iPhone performance to reset iPhone and restore backups. This is because iTunes or iCloud don’t back up everything. The files which are considered to be useless by iOS won’t be back up. When you back up your iPhone, reset it, and restore backups, you should find that your iPhone will run as brand-new.